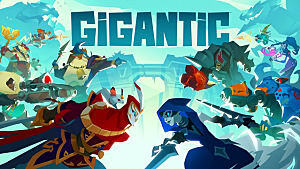 Gigantic has been on many gamers' radar for quite some time, and was finally released this week. 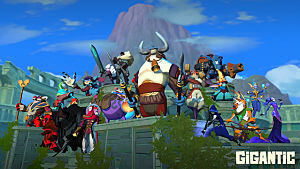 This new MOBA has a whole host of heroes for players to learn and master -- and Tyto the Swift is one of them. 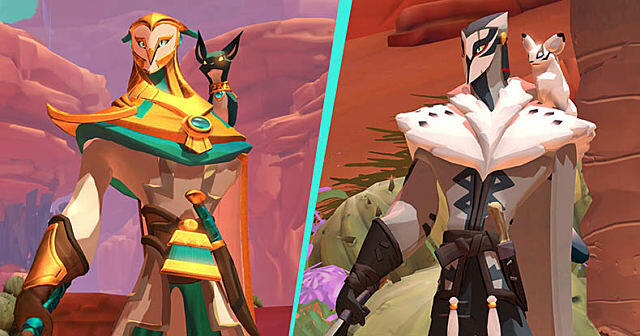 Tyto is classed as an assassin and one of the most favored melee characters in the game. So if you're a melee-heavy player who likes to hit hard and fast, he just might be the champion for you. And if you follow this guide, you'll have this deadly assassin mastered in no time. 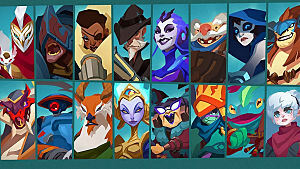 As I've already mentioned, Tyto the Swift is classed as an assassin. Assassins are designed to be able to deal out lots of burst damage in a short amount of time, but this also means that they are pretty vulnerable if they get caught because they have little defensive capability. Assassins like Tyto rely on their high mobility to be able to dash into combat, deal some blows and then get out of melee as soon as possible. However, as soon as someone catches them, they struggle to mitigate damage well enough to survive. 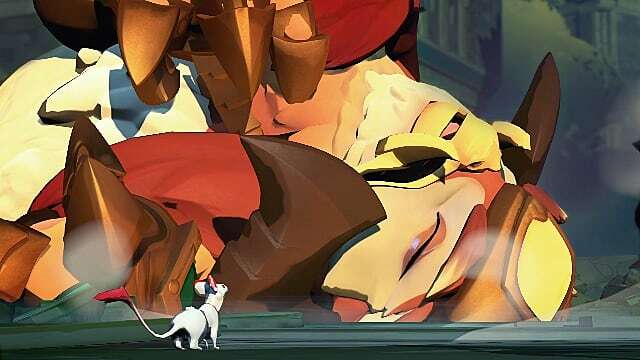 But in the hands of a discerning player, Tyto can be one of the best competitive heroes in Gigantic. The first time you get to level up an ability, you get to choose from two Tier 1 upgrades. With further skill points, you can level that ability up to the Tier 2 -- but you need to bear in mind that each ability has its own Tier 2 improvement as well. Here's a breakdown of how these abilities branch out at each Tier, and which abilities you should be picking up depending on the play situation that you're in. Talon is Tyto's default attack (left mouse button). 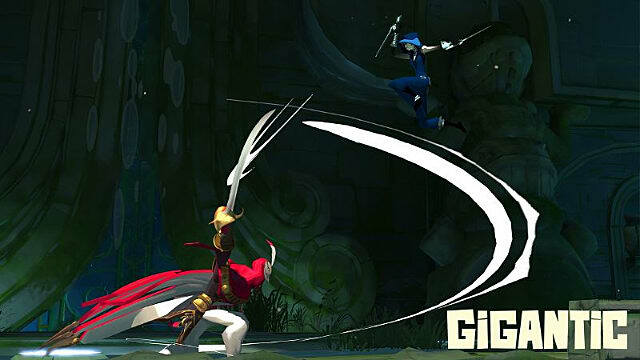 Even though it quite an effective attack in itself, its real bonus lies in its ability to affect Tyto's dodge. It is great as an opening attack because it disorientates any opponents it hits. Builds crit chance and Focus faster. This upgrade is ideal for those situations when you want to stay engaged for longer. If you find yourself in sustained engagements where you're auto-attacking more often, this is what you'll want to pick up. Talon and Fang: Gain a higher crit chance and crit bonus after Fang has landed an attack. This upgrade is the way to go if you want to deal more consistent damage throughout longer team fights. The higher crit chance will make your default attack more deadly so that you can left-click your way through an enemy's defenses. Synchronicity: Performs a powerful lunge attack as soon as Fang has attacked. If you want a little more burst damage and some extra mobility, this is the ability to pick up. It'll give you a bit more poke potential and let you more easily lock down a target once Fang has gotten a few hits in. Works with dodge to increase the distance of your lunge attack, which automatically crits and applies bleeding damage. This upgrade is brilliant for when you want to yo-yo your way in and out of the action quickly, doing some hard-hitting burst damage whenever you dive in. If you've got frontliners or other DPS characters who can stay in a fight longer or keep your enemies occupied so you don't have to, pick this one up. Evade Defenses: Works when you dodge at the same time as attacking with Talon. If you hit your opponent in the back or the side, your attack will deal more damage. This will likely be a go-to Tyto upgrade if you want to do more burst damage and avoid taking any hits. It will also be essential in situations where you need to act as a flanker and take out the enemy's back line. Encirclement Tactics: Works with dodge at the same time as attacking. If your attack is successful, it will reduce the cooldown of Blade Dance by 2 secs. This upgrade is the way to go in situations where you need to be able to escape a sticky situation. Because Blade Dance can halt attackers and get you out of a melee mess, you'll want to reduce its cooldown as much as possible in games where you find yourself getting collapsed on by larger close-combat characters. Swoop is quite a powerful secondary attack (right mouse button). It causes Tyto to lunge forward to drive his sword deep into his opponent. This is a fantastic finishing upgrade that you should pick up if you're playing like a true assassin -- sneaking around the enemy's territory and securing targets who were naive enough to think they could outrun you. Cut Down (and its upgrades) are made for the assassin who is actively hunting down targets all over the map. Predatory Instincts: Piles on the pain from Cut Down with a damage bonus increase of 100% on targets below 25% health. If Swoop kills an opponent, this upgrade will also reset the ability's cooldown. This upgrade is perfect when you're actively hunting down targets all over the map, racking up kills and helping your teammates secure low-health targets. And if you manage to secure targets consistently, the instant CDR will let you go into the next fight with your attacks at the ready. Rake: Puts a huge bleed debuff on opponents that are already bleeding. This upgrade will only be useful to you if you opt to take the bleed damage upgrades for Blade Dance. If that's the case, you'll definitely want to pick up Rake so that you can make enemies bleed out before they make it to safety, and severely weaken their defenses so you can consistently deal hard-hitting damage. Swoop can leap further and gives a 5 secs speed boost -- but you can't attack when you land. This upgrade (and its path) are ideal for matches where you need to have as much mobility as possible. If you're consistently getting collapsed on or you can't lock down a target without being swarmed by crowd-controlling characters, going this route will help you get out of harm's way more quickly. Free as a Bird: Breaks you free of any immobilizing effect or disruption as well as cleanse all debuffs on you. This is basically a "get out of jail free" card. This is the upgrade for you if you want to play aggressively and get into the thick of the action without risking your life to do so. It's also a good defensive pick if you find yourself facing an enemy team with enormous amounts of CC. Spin Cycle: Resets the cooldown for Blade Dance. If you'd rather be the one dishing out some crowd control while you Swoop around the map, this is the upgrade to go for. 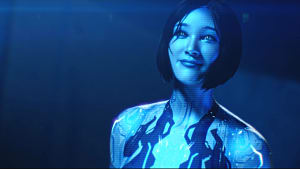 A shorter cooldown for Blade Dance means more opportunities to immobilize enemies in order to escape a bad fight or turn the tides of an engagement. The Blade Dance ability (Q) basically stops an enemy in their tracks. 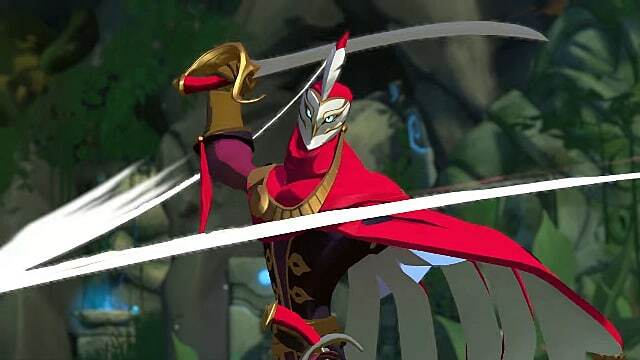 Tyto spins his sword around in all directions, hitting any opponents in its vicinity. This ability allows you to move more quickly -- but be careful, because the longer you use it, the long the cooldown on it. Inflicts bleed damage on hit, which is stackable by 10. The Bleed Dance upgrade path is useful when you want to weaken your enemies as quickly as possible during sustained engagements. This can be helpful in a number of situations -- whether you want to have bleed damage to lock down escaping enemies and synergize with the first Swoop path above, or drain the life out of tankier targets so your team can bring them down. Deadly Dance: Enhances the effect that bleeds have on an opponent. Once the stacks reach 10, your Talon attack gets 25% damage boost for 3 secs. If you're patient enough to build all 10 stacks of this ability, this can be a devastating finisher move. Even the bleed alone is good for wearing down enemies during a fight. Cyclone: Increases the area of effect of your Blade Dance by 50%. This upgrade will widen the area of affect for your crowd control, which will make it easier for you to control and immobilize the enemy when you need to escape or engage a fight. 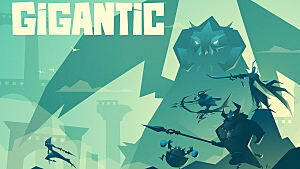 This will also help you stack your bleeds or land other chain abilities while your enemies are indisposed. Increases your movement speed while attacking with Blade Dance. If you need more mobility in order to kite around the map and get some good poke in on the enemy team, Windborne will be the way to go. This path can be especially helpful when you need to spend a lot of time on the enemy's back line, taking out squishy ranged targets or locking down escaping targets. Hard Target: When doing your Blade Dance, this upgrade repels any projectiles that are heading your way. Hard Target is great to pick up when you know that there are a lot of casters on the opposing side who will cause problems for you. Deflecting their projectiles will allow you to get in close and do what you do best -- shred. Windswept: The cooldown for Blade Dance is set to 6s and increases each time an enemy is hit. If you find yourself needing Blade Dance so often that getting other upgrades just won't make up for the more frequent CC, then this is the upgrade you want to get -- especially if you find yourself getting collapsed on or chased down fairly often. Fang is actually Tyto's little companion. He sits on Tyto's shoulder during combat, but this ability (E) causes Fang to attack an enemy for you. Fang's attack causes armor-ignoring damage and bleeds the target for 5 seconds. Allows Fang to deal an extra 150 armor-ignoring damage on hit. This is a great bit of burst damage if you want to hit as hard as you can in a short amount of time. Getting in this initial powerful hit will allow you to follow up more effectively with bleed damage or the Fang-dependent Kith and Keen path of upgrades for your default Talon attack. Gnawing Out: Makes Fang crack an opponent's armor, reducing it by 3 secs. This is a great upgrade when you're facing heavily armored targets. 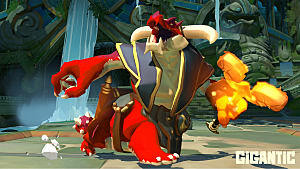 Reducing their armor will let you fire off a few burst damage or bleed abilities to bring them down more efficiently. This is a great way to get frontliners down low enough that you can proc the low-health bonuses your Cut Down ability or do fatal burst damage through Hidden Talon. Ankle Biter: Slows down any target that Fang is attacking for 3 secs. This is a great pickup for matches where you need to rove the map and lock down escaping targets. If you need less penetration and more mobility to keep your opponents from making it out alive, this is the upgrade you want to have. Brings Tyto to Fang's location and causes Fang to stop attacking. If you want maximum mobility and nearly global map presence, this is the upgrade you'll want to pick up. Unity will let you quickly get anywhere on a map -- so whether you need to quickly get to a team fight or catch up with an escaping enemy to lock them down, this upgrade will help you out. Celerity: Increases your haste by 33% for 3 secs once you have teleported. This upgrade is beneficial if you need to keep laying on the burst damage while keeping up with your target. It's also good if you're playing more stealthily and want to have the enemy distracted before you jump into the fight yourself. Either way, no one is going to be getting away from you with this upgrade. Disruption: Causes Fang's opponent to be dazed when you teleport in. This is obviously a great upgrade for crowd control. If you want to take full control over the enemy's movements during a fight, you can use this to hold them still while you either further immobilize and stack bleeds with Blade Dance, get burst damage via Hidden Talon or Swoop, or slowly wear them down with crit damage. Blur is another of Tyto's more useful attacks (F). It's best used against a group of enemies, as the rushing motion gives all enemies in the group a bleed effect. It is a very strategic ability, as it will mean that opponents will be less likely to bunch up -- making it easier for the rest of your team to pick them off one by one. This is a great mobility upgrade that will let you sprint all over the map -- getting out of harm's way or hunting down targets who almost made it out alive. Skirmishing: Gives you faster stamina regen while you are in combat, and also makes health regen start 2 secs sooner when you leave combat. This upgrade is perfect if find yourself serving as DPS in a more sustained combat situation -- because you need all the stamina you can get for your biggest abilities. This is also good to use if you find yourself roving the map and burning a lot of abilities in order to lock down the backline or retreating targets. Pure Escapism: Lose a debuff when you dodge (only usable every 20 secs). This option is fantastic if you know that you are up against a lot of opponents who dish out debuffs. You can dodge your way out of a nasty fight, shake off a debuff, then retaliate with some burst damage or some bleed (+debuffs) of your own to turn the tides of the engagement. Gives a 15% boost to basic damage if you attack from behind or after dodging. This would be a fantastic ability to pick up if you wanted to play Tyto as a stealthy character and use the element of surprise to your advantage on unsuspecting opponents. 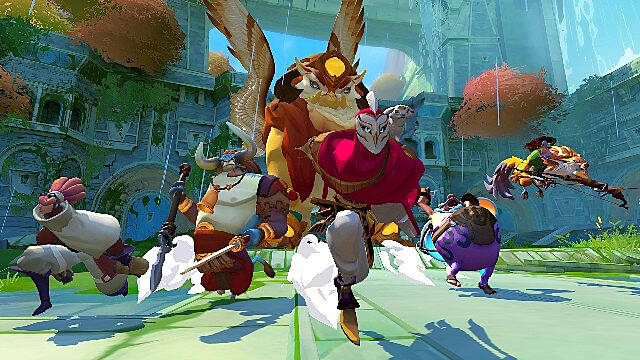 This has a lot of good synergy with Tyto's other mobility and CC-oriented abilities as well. Precision: Increases the rate at which you build crit chance. 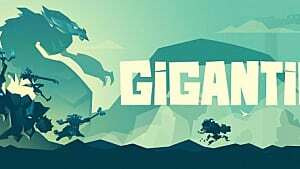 If you want to flank and crit-hit your way through a sustained engagement or increase your chances of shredding enemies from behind, then this is the upgrade for you. Battle Ready: 10% more front damage reduction, with an additional 5 points added during combat. This is very much a survivability upgrade. If you find yourself getting squished a little too often, or having to face the enemy head-on rather than sneaking about and chasing them down, then you'll want to pick this upgrade up. You'll be able to play a little more defensively and wait out the enemy for the perfect opportunity to strike. 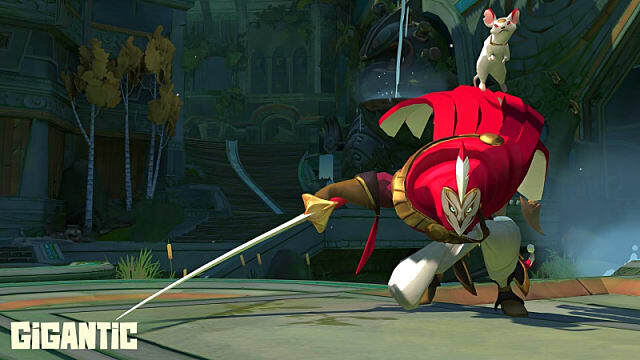 All in all, Tyto the Swift is suited to players who like fast moving characters in their MOBA games. He might take some getting used to, as you need to always be thinking about how you can get out of combat as well as how to deal damage without taking too much yourself. Make good use of Fang with his armor-ignoring abilities inflict the most damage you can before clearing off and finding your next victim. And don't worry too much about shoving yourself in the middle of team fights -- there will always be other characters on your team who can stay in the thick of it while you pick them off at the sides! So, there you have it! We hope this guide to how Tyto the Swift in Gigantic works and the useful tips we've given works for you. 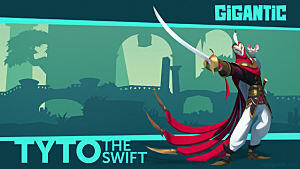 But if you try it out and learn that Tyto the Swift isn't really your style, then make sure you check out the rest of our Gigantic guides for more tips for other characters!